Magnus Carlsen is World Chess Champion 2016! Magnus Carlsen is World Chess Champion 2016! He successfully defended the title in a match with Sergey Karjakin, after 6-6 in the classical part and 3,0-1,0 in the tiebreaks. Congratulations! This is the third consecutive title for Carlsen and it comes on his birthday, November 30th. 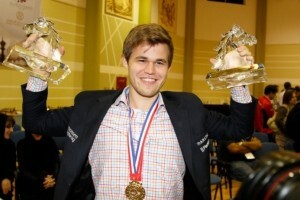 The first one he won in the World Chess Championship 2013 in Chennai, while the second came after the World Chess Championship 2014 in Sochi. Magnus Carlsen won the World Chess Championship 2016 after defeating Karjakin in a 12 games match followed by a dramatic tiebreak. Despite the high drawing rate, Magnus Carlsen and Sergey Karjakin played exciting chess all the way through the championship. Carlsen was close to striking first in the early games, but Karjakin defended effectively. The Russian amazed in game 8 where he won with black. Karjakin was looking so solid until that point, the championship title seemed to be slipping away from the Norwegian. Carlsen had a different idea and struck back in game 10, equalizing the series. The two players just shuffled some pieces in the next two games to get to the tiebreaks. Carlsen entered the tiebreak in fashion, boasting strong opening preparation. After the opening in game 1 he had more time than he started with. Karjakin kept his cool and with the central break 20…d4 right on time simplified the game and a draw was the logical outcome. Game 2 had a similar time pattern – Carlsen was always ahead on the clock. The Norwegian also had a slight opening advantage. Right when all problems for Karjakin seemed solved, he blundered 23… cxb5. Carlsen, with perfect coordination of the white pieces, reached a position with a forced (although long) mate. However, tension seemed too much for Carlsen and he missed the winning 62. Kf7, entering into a drawish variation. 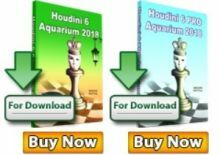 Everyone wondered how Carlsen will react to the missed opportunity, but he showed nerves of steel – playing on both the king and queen side Carlsen pressed Karjakin one more time. 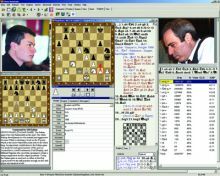 The Russian copied the strategy from the previous games by thinking through the moves, going low on time and keeping the position equal. However, this time Caissa did not smile on him. Karjakin did not find the only move 38. Rb1 and lost to the immediate 39. 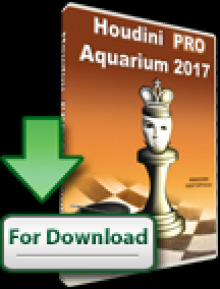 Ra1 Replay Karjakin – Carlsen rapid game 3. In the final game of the rapid Karjakin tried to spice up things. That got him in a worse position and Carlsen did not miss his chances. Carlsen won the tiebreak on his birthday and is the World Chess Champion for 2016! Congratulations!